Are you confused in choosing between Martin Logan Motion 20 and Martin Logan Motion 40 right now? 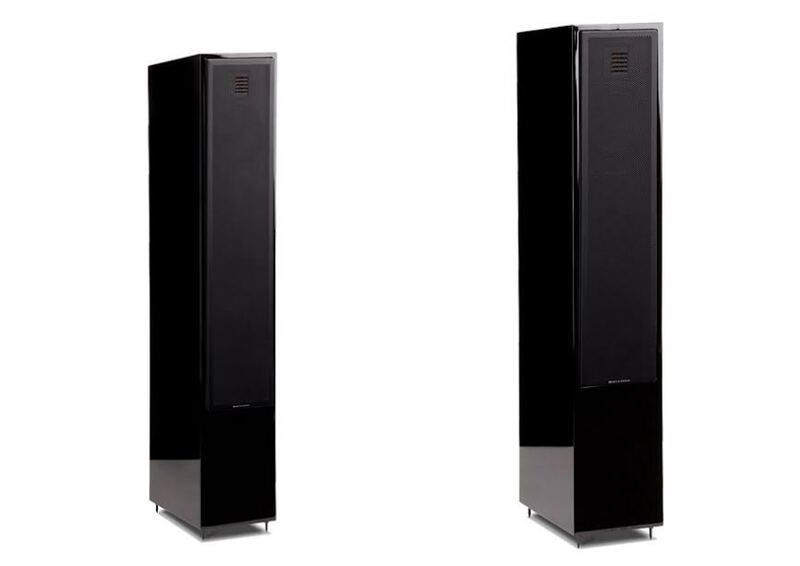 Martin Logan Motion floorstanding speakers are indeed very popular on the market. These speakers are praised not only for the slim, space-friendly design, but also exceptional output power and quality. Martin Logan Motion 20 is the lowest of the series, but, despite that, you should not overlook its power. Meanwhile, Martin Logan Motion 40 is a step higher than Martin Logan Motion 20, and is the middle model of the series. Below, we will see the contrasts and comparisons between the two models, so continue reading! As the lowest model, Martin Logan Motion 20 also becomes the smallest and most compact one. However, since it is a floorstanding speaker, don’t expect it to be ultra-lightweight and all. Still, the 37 lbs mass is quite on the lighter side if compared to other floorstanding models. It measures by 35-5/8” x 6-13/16” x 11-3/4”, featuring dual 5.5” aluminum cone woofers with a rear-firing bass port and a Folded Motion tweeter. The compact nature makes it a nice option if space availability is an issue. On the other hand, Martin Logan Motion 40 is rated at 41-1/2” x 7-9/16” x 12-3/4” and 49 lbs, considerably bigger and heavier. The model features an advanced resolution Folded Motion tweeter, a 5.5” aluminum cone midrange driver, and a pair of 6.5” aluminum cone woofers with a rear-firing bass port. Martin Logan Motion 20 is actually a decent floorstanding speaker with excellent output qualities and power. It can deliver up to 200W output power. The low frequencies are solid, full, and strong. The addition of the unique tweeter also promotes enhanced solid low-frequency reinforcement with superior sound dispersion as well as precise, well defined, and highly dynamic high frequencies. However, Martin Logan Motion 40 makes no joke when it says that it is in a higher class than Martin Logan Motion 20. It has outstanding performance that is even better. To begin with, it has 300W maximum output power, offering extra loudness to fill a larger room. However, the oversized woofer design also makes more cone area for delivering higher output and richer, deeper bass. The dedicated midrange woofer also improves the mid frequencies to be more open and revealing. If you have enough space, then you should go with Martin Logan Motion 40. The audio quality is significantly better. However, if you need to prioritize compactness or to save some bucks, then Martin Logan Motion 20 can be a very good alternative.